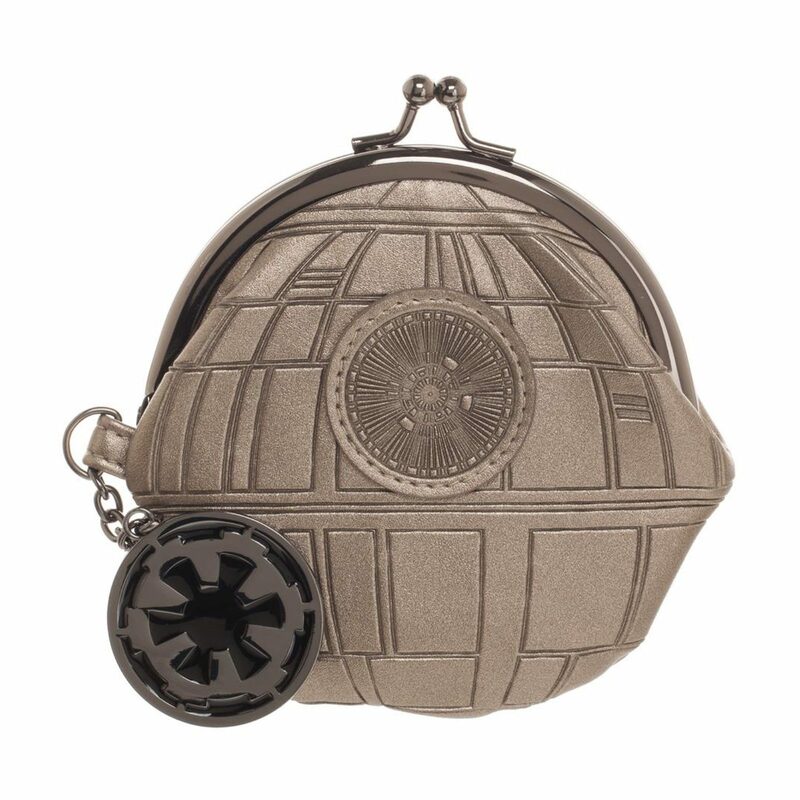 This cute little Death Star kisslock coin purse is available at Fun. 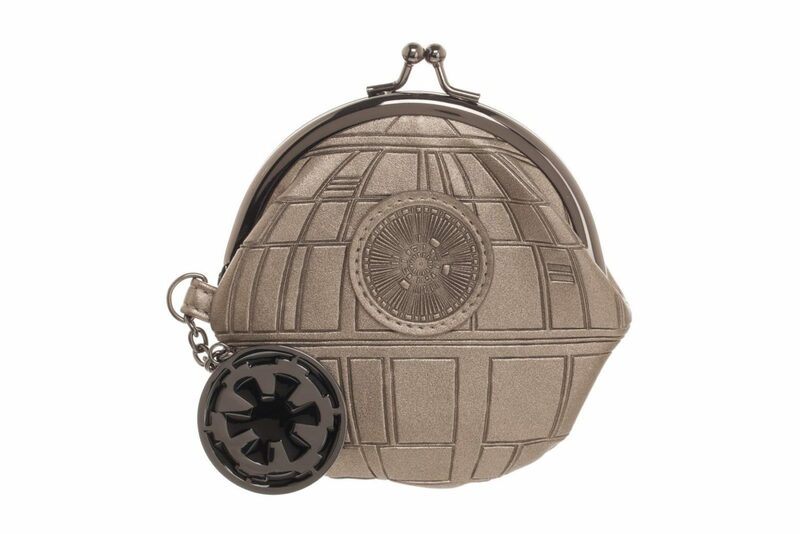 Made from embossed metallic faux leather, the coin purse features a kisslock style closure, and enamel Imperial ‘cog’ symbol charm attached on one side. 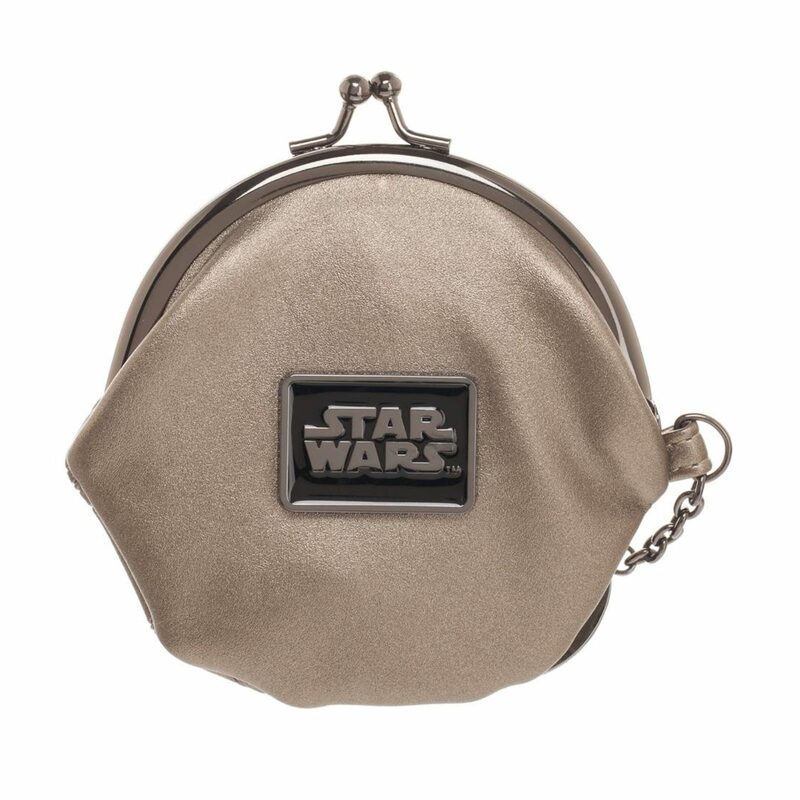 The coin purse is priced at US$19.99 each – Fun can ship internationally, which is great!